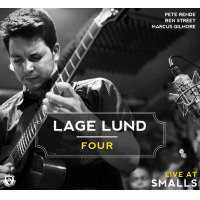 Lage Lund is acclaimed not only as one of the finest guitarists of his generation, but also one of the most compelling jazz artists in the world today. A regular in the “Rising star – Guitar” category in the Downbeat Critic’s Poll, he has been hailed by Pat Metheny as a favorite young guitarist, and is “all music and all soul” according to Russell Malone - one of the judges who awarded Lund top prize in the 2005 Thelonious Monk International Jazz Competition. 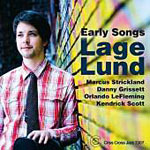 Armed with a mastery of the standard repertoire and a growing and impressive body of original compositions, Lund swings with great authority, displaying a staggering harmonic sophistication and a singularly fluid voice as a soloist. He also brings a “casually magnetic” presence to the stage, “channeling reticence into a whisper-quiet mystique” (New York Times). Born and raised in Norway, Lund relocated to Boston after high school on a scholarship to Berklee College of Music. In 2002 he moved to New York and soon became the first electric guitarist ever to enroll at the Juilliard School of Music. In the years since his Monk Competition victory, he has become a sought-after sideman with the David Sanchez Quartet, the Maria Schneider Orchestra, the Mark Turner Quartet and many more. He has been fortunate enough to work with elder statesmen and peers alike: Ron Carter, Mulgrew Miller, Danilo Perez,Wynton Marsalis, FLY, Marcus Strickland, Will Vinson, Aaron Parks, Kendrick Scott, and Carmen Lundy among others. 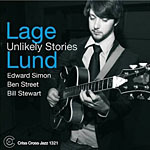 With four releases on the Criss Cross label including “Unlikely Stories” - a vibrant set of original tunes with a superb supporting cast. That along with “Foolhardy and “Idlewild - all feature bassist Ben Street and drummer Bill Stewart but “Idlewild” is the first in a trio setting. The results are stellar as Lund continues to refine his artistry, bringing tonal clarity and an unerring sense of proportion to music. His work as with the Maria Schneider Orchestra was documented on the 2017 Grammy winning “Thompson Fields”– the title track being a feature for Lund. Through stateside appearances and live engagements throughout Europe, Japan and around the world, Lund has ascended to the highest ranks as a performer and a creative force. He is among those setting the agenda for jazz improvisation in the 21st century. 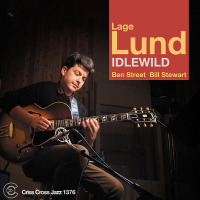 As unequivocally strong as everyone is on the date, it's Lund who stands out, if only because he is a younger player with a small but increasingly significant discography..
All About Jazz musician pages are maintained by musicians, publicists and trusted members like you. Interested? Tell us why you would like to improve the Lage Lund musician page.